Anyone can forget the password, not even my friend and me of course. 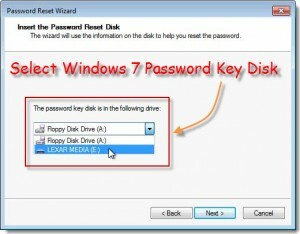 What would you do if you lose or forget your Windows 7 password? Will reinstalling windows Sobat, which would certainly require substantial time? In this discussion I will be sharing a tutorial that refers to the password reset windows 7 user account with the help of Windows Password Reset Disk. 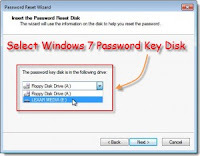 In this case, of course, my friend had already had a windows password reset disk that the weave is discussed in How to create a Password Reset Disk for Windows 7. 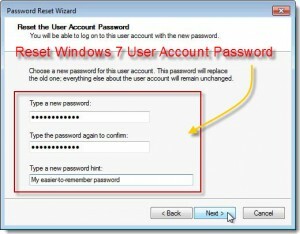 After absolutely sure that you have forgotten the password windows 7, then it's time to try to reset password windows 7, and of course, praying that the password reset process can proceed smoothly. 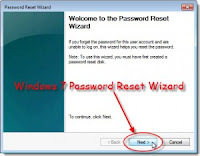 After my friend returned to the Windows Log On screen look just below the Password dialog box, and my friend will see the option Reset Password, click the menu to start the process of resetting. Click the Next button in the Password Reset Wizard window, then please input media use during this buddy to keep your password reset. 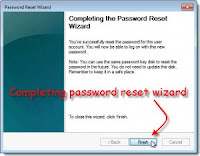 Enter a Password Reset Disk (if not already included in the previous buddy on stage), and then select the drive from the drop-down list, buddy now presented with a User Account Password Reset screen. 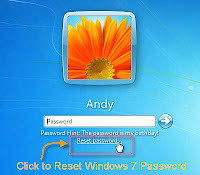 Type the new password you want to use my friend, and then type again to confirm passowrd buddy. 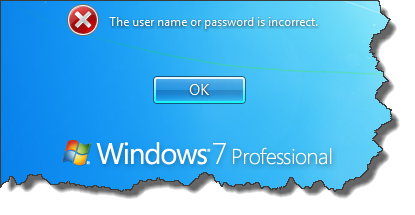 Furthermore, an additional type of information as a password hint, and then click the Next button. The next screen will pop up screen wizard password. 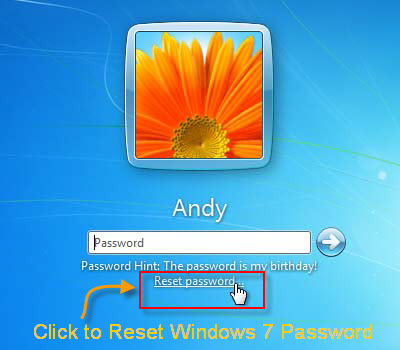 This display serves to tell that Buddy has successfully created a password reset windows 7. Finally, click the Finish button. Buddy now be taken back to the log in screen where Buddy Buddy can type in a new password and gain access to the Buddy system.